White adipose tissue stores excess calories as fat that can be released for use in other organs during fasting. Mammals also have small amounts of brown adipose tissue, which primarily acts as an effective fat burner for the production of heat. 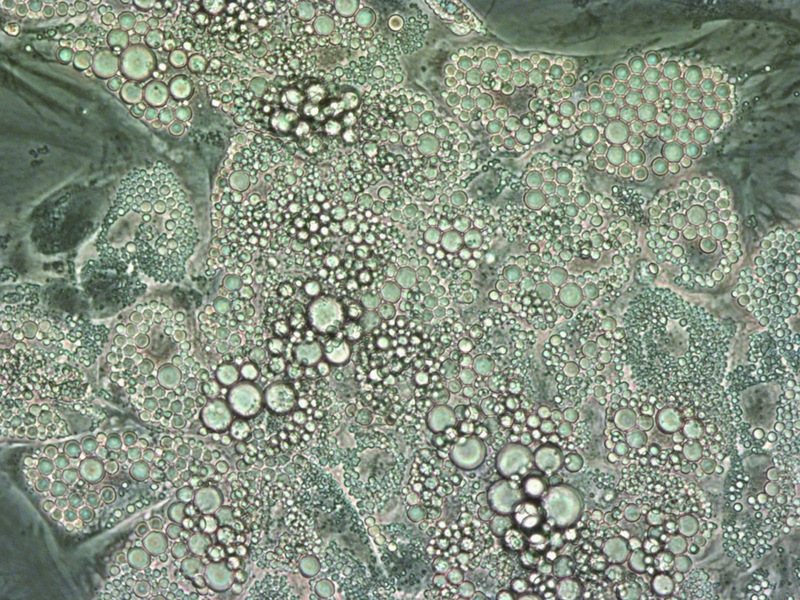 Now researchers have uncovered the mechanism by which white fat cells from humans gets reprogrammed to become browner. The research was published in the journal Genes & Development. The researchers investigated how the genome of white adipocytes is reprogrammed during browning using advanced genome sequencing technologies. They stimulated browning in human white adipocytes by a drug used to treat type II diabetes and compared white and "brite" fat cells. This showed that "brite" fat cells have distinct gene programs which, when active, make these cells particularly energy-consuming. By identifying the areas of the genome that are directly involved in the reprogramming, the researchers have also identified an important factor in the process - the gene regulatory protein KLF11 (Kruppel Like Factor-11), which is found in all fat cells, and they have shown that it is required for the reprogramming to take place. "The discovery of the "brite" fat cell mechanisms and the specific regulatory areas brings us closer to understanding how reprogramming of white fat cells takes place. This knowledge potentially means, that in the future we can target drugs to activate the genomic regions and browning factors like KLF11 in the treatment of obesity," the researchers conclude.